If you're a music teacher (classroom, private studio, band, choir, orchestra), we're here for you. In fact, we created this entire brand with TEACHERS in mind. What do teachers need in their classrooms? How can we provide support to teachers? What articles will our fellow colleagues find interesting? How can we continue to contribute to their growth and sustain their passion for this INCREDIBLE vocation? These are the questions we ask ourselves everyday. Below you'll find some resources to keep your passion alive and offer some helpful tips from the classroom. If you're interested in writing an article to share here, please email samantha@musikalhusky.com. Here at Musikal Husky, we're obsessed with teacher wellness. Moreover, why isn't EVERYONE talking about this important topic?! Sometimes we get so caught up in the pedagogy that we forget to take care of ourselves. All of our projects are developed after pinpointing "holes in the market." In other words, resources we personally needed in our teaching that currently do not exist. Our first publication, available in Europe and the United States via Amazon Prime, is designed to help teachers introduce the critical skill of rhythm reading to students. From our perspective, all students should be able to look at a line and clap and count aloud the rhythm using subdivision. Somehow, even very advanced students often cannot do this with ease, leading to what we call "rhythm insecurity." Rhythm insecurity only presents downsides to the performer (namely, loss of self-esteem not knowing exactly when to play a note) and to the audience (the playing just feels 'off'). 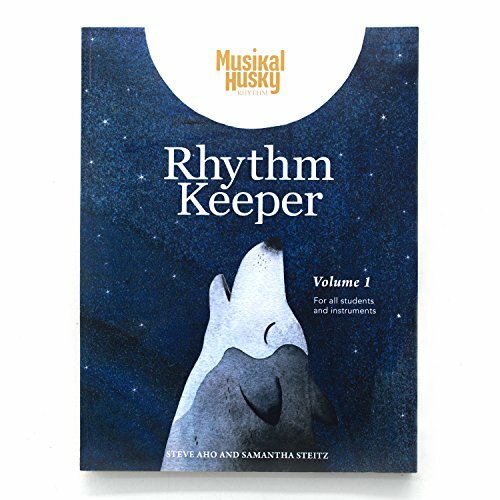 The Rhythm Keeper lays out rhythmic concepts beginning with quarter notes and travels all the way to sixteenth note patterns. With just 3-5 minutes a day (or a few minutes as a class/orchestra/choir at the beginning of rehearsal/lesson), students will MASTER the skill of rhythm reading, making all subsequent musical output convincing, confident and lovely. More importantly, performing music will feel better for your students and your audiences. Tip #4: Join a music community to stay connected with other teaching professionals. Beyond producing music education materials to enhance the experience of children, Musikal Husky offers an online network of teachers. We are active on Instagram, where we post daily inspirational and educational content in our feed and stories. Please find and join us there! We look forward to seeing you!